A street dancer from an Ohio area known as Shaker Heights, Todd Sams began his career performing with Cleveland music legend Gerald Levert. Traveling and performing brought him to Hollywood in 1996, where his abilities were spotted by several industry veterans, quickly landing him on stage performing with the original King of Pop, Michael Jackson. From there, Todd met a young Usher Raymond, who was looking for a new street style to develop his image and then the creations began – three multi-platinum albums of hit records, music videos, and stage shows. 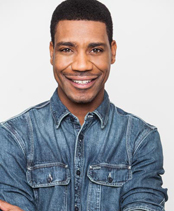 Todd helped to shape the superstar from his dance moves to his stage concepts from Usher’s “My Way” to “8701” to “Confessions.” In 2005, Todd’s dream of creating a production for television and telling a story through song and dance came to life in the FOX TV Special and DVD release Usher’s “Rhythm City: Caught Up” with a story co-written by Todd as well as a stage show under his artistic direction and choreography. In 2005 Todd began working with another young pop star known as Chris Brown who hit the ground running with outstanding stage shows and music video performances. Todd helped to provide Chris with the tools and expertise to make his mark on pop culture, selling millions of records worldwide, and winning the hearts of fans with his electric performances. Currently, Todd is developing several television and film projects as a writer and producer.